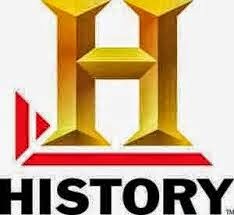 This channel is originally known as The History Channel that lasted from 1995 – 2008. The most interesting broadcastings of this network were documentaries of the accounts of the past. This is owned by A+E Networks which also broadcasted historical fictions before. Because of its broadcasting of Ancient Aliens, UFO Files, Brad Meltzer’s Decoded and the Nostradamus Effect, it was criticized by scientists claiming that these are pseudoscience topics that has no relation to history as what the channel is all about. The channel was first launched on January 1, 1995 with historical series. This channel has gained good rating in the United States of America. The logo of this channel was changed on February 16, 2008 though the trademark “H” was retained. This channel has 1080i or HDTV quality broadcasting with headquarters in New York, New York, United States of America. If you want to know more about the channel, you can visit its official website history.com and learn more about the programming. Because of the popularity of this channel around the world, most of the people who are into history would resort to it. Though it was criticized and ridiculed as “The Hitler Channel” because of its extensive coverage of the World War II, it has maintained its efforts of providing the people with an ample amount of knowledge when it comes to history in order for them to change the course of their lives by learning from the past. The popularity of this channel reached Canada, Benelux, Poland, Scandinavia, other Asian, Latin America, and African countries. One thing that makes the channel distinct from the others is that it uses other media such as DVD and Video games. These depict the success and importance of the said channel that is distinct from other networks. Though there are historical contents on other networks like this channel, they are incomparable to this because it is the very genre of the channel. Be aware of what happened to the world you live when you were still not born. You might explore and experience lots of things that will change your perception of life that only history can teach you.